NewAir, the California-based home appliance manufacturer, just announced the availability of a new portable air conditioner - the AC-12000E. This incredibly compact portable air conditioner boasts 12,000 BTUs of cooling as well as additional features such as intuitive electronic controls, a built-in timer, and remote control. When space is at a premium, low-profile appliances such as the NewAir AC-12000E come in very handy. NewAir, the California-based home appliance manufacturer, recently announced the availability of a new portable air conditioner - the AC-12000E. Although portable air conditioners are still relatively unknown to many consumers, market research conducted by the Association of Home Appliance Manufacturers has shown that there has been a sharp increase in portable air conditioner purchases in the past few years. The AC-12000E complements NewAir's existing line of innovative cooling solutions for home and office users. 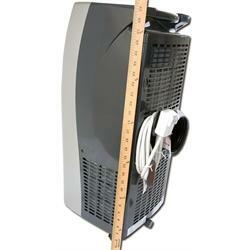 The AC-12000E is an extremely compact portable AC specifically designed for localized cooling in small areas. It can be deployed quickly and offers 12,000 BTUs of cooling without the need for permanent installation. Portability being its best feature, the NewAir AC-12000E portable air conditioner comes with rolling casters so that users can move the AC at a moment's notice to any room that requires cooling. 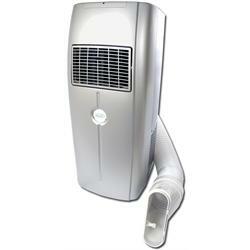 This portable air conditioner's size advantage also makes it ideal for areas with limited floor space. "We introduced the compact AC-12000E in response to the growing demand from consumers living in apartments or condominiums," said Gordon Lee, a representative for NewAir. "When space is at a premium, low-profile appliances such as the NewAir AC-12000E come in very handy." An extra-long window kit that accommodates windows up to 51"
The NewAir AC-12000E portable air conditioner is currently available exclusively at Air & Water, Inc. Air-N-Water is one of the country's largest independent retailers of residential and commercial heating, cooling, and purification products. The company has been at the forefront of climate control solutions since 2003. Air-N-Water.com offers the full range of NewAir portable air conditioners through their website and in their showroom in Santa Ana, California. NewAir AC-12000E Portable AC Available at Air-N-Water.com Convenient Control SettingsElectronic controls and a full-function remote allow for easy operation. 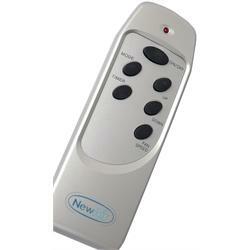 Remote ControlThe remote control lets users operate the unit from across the room. 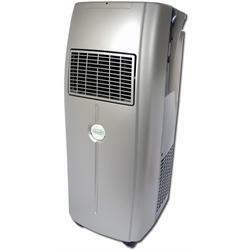 Compact DesignThe AC-12000E is one of the most compact portable air conditioners available on the market today.